Everything we do here at the APA is based on the belief that people and pets are better together. That is why every adoption, wellness initiative and educational program is centered around bringing people and pets together and keeping them together. Each day, with the help of dedicated staff, volunteers, community partners and supporters, we work to care for animals. Those adoptions, reunification of lost pets, heartworm treatments, No More Bullying classes and everything else we do definitely add up! Take a look at what we have accomplished so far this year! 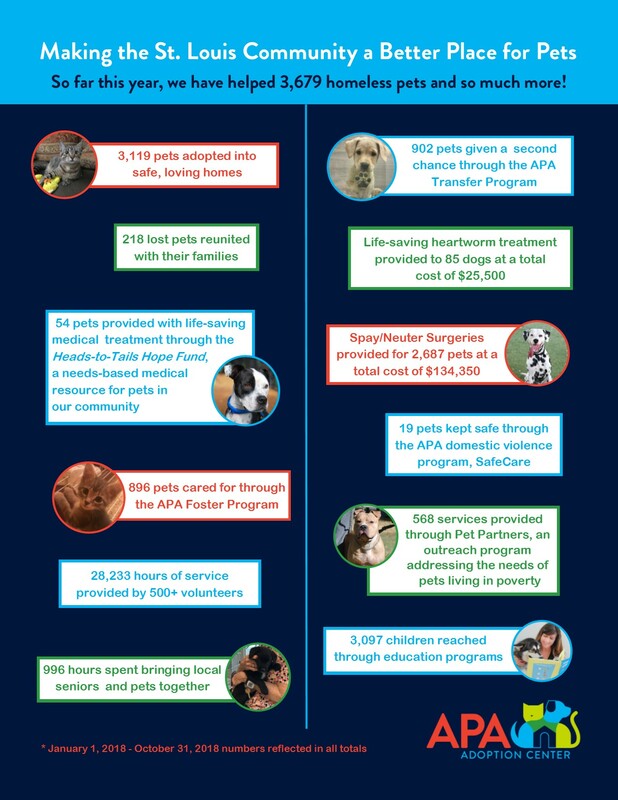 All of this helps create a better community for both pets and people, and is definitely something to be proud of.